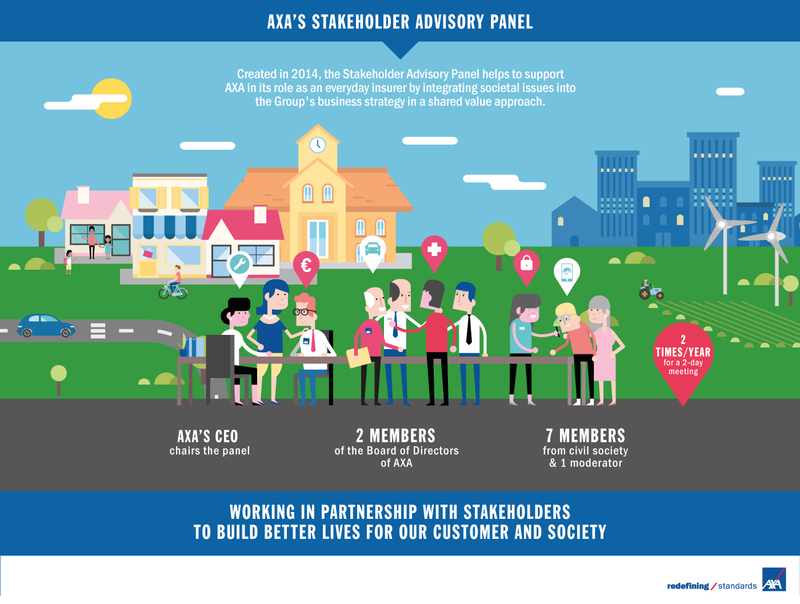 In 2014, AXA decided to launch a Stakeholder Advisory Panel, to advance the company's role as an insurer in building a stronger, safer and more sustainable society. The Panel is designed to provide an informal forum for deep discussions on global trends shaping the world in which AXA operates; to identify ways that AXA can shape its vision and strategy consistent with these trends; and to enable AXA to maximize its positive impact on clients and the communities in which it operates. 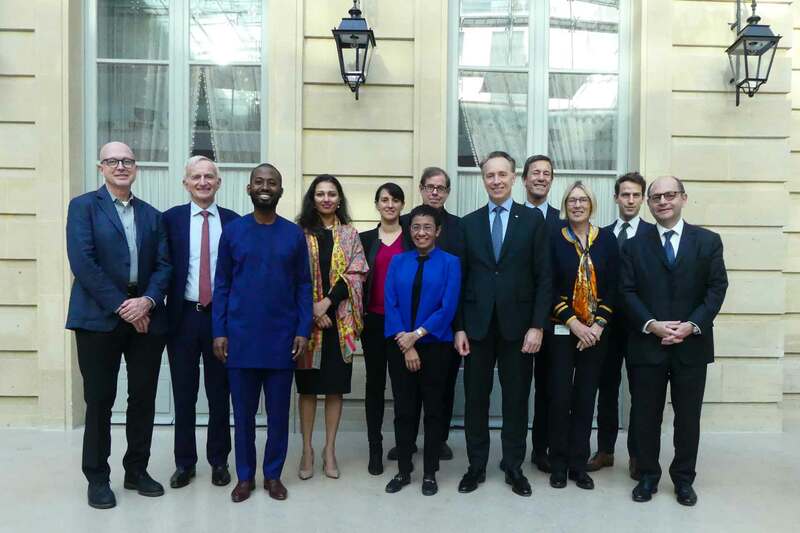 The Panel meets twice a year (in Spring and Autumn) at AXA’s headquarters in Paris. 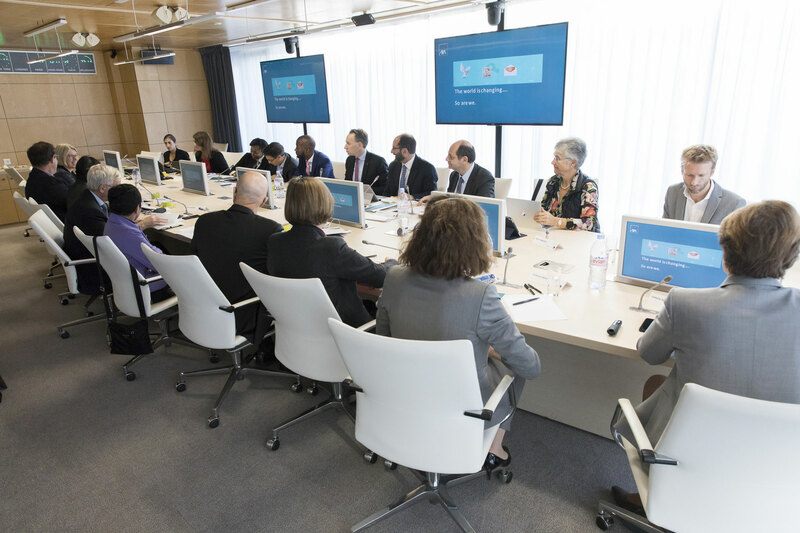 Most sessions are attended by AXA’s Chairman of the Board of Directors; AXA’s CEO; Deputy Chief Executive Officer and Group General Secretary; Group Head of Public Affairs & Corporate Responsibility and Group Chief Corporate Responsibility Officer. Other senior executives may be invited depending on the topics addressed. The Panel is composed of 7 permanent external members, each with a mandate of 3 years, renewable twice. Among the panelists, some of them have or have had in the past a financial link with AXA. The Panel is composed of 7 permanent external members, each with a mandate of 3 years, renewable twice.